Start the day right with this simple, quick, nutritious & tasty superfood breakfast bowl from Roberta Nelson. 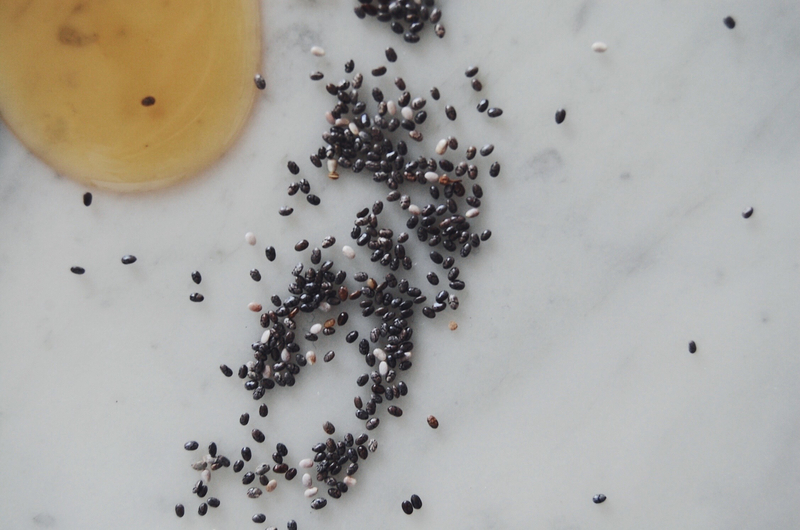 Chia seeds are a simple superfood breakfast option for anyone who is on the go. 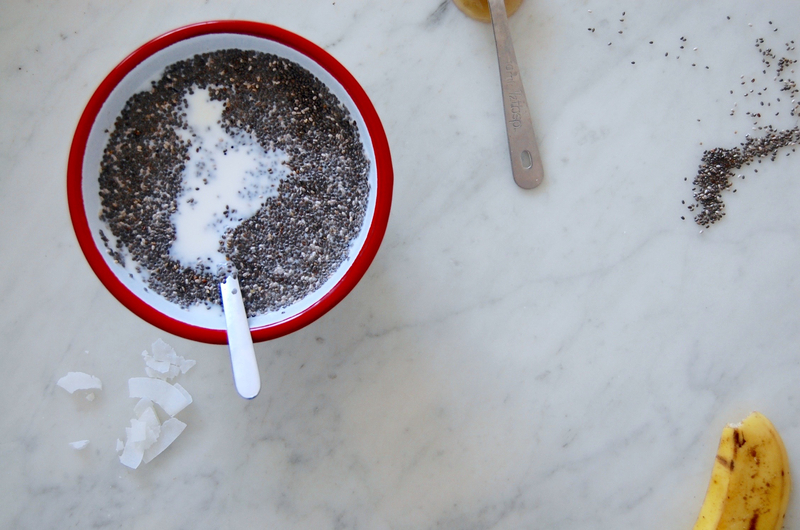 By mixing some chia with milk the night before, you have yourself a nutritious and delicious breakfast to grab and go in the morning. 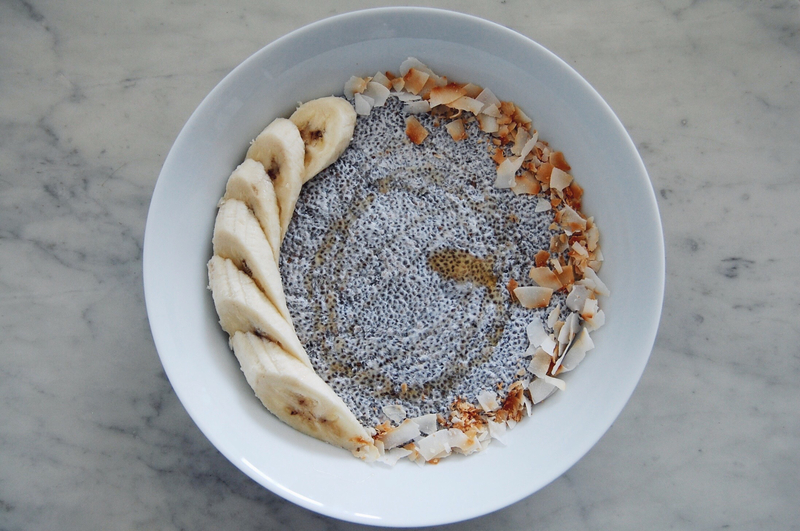 This breakfast bowl embraces the basic but loved flavour combination of coconut, banana and honey. This makes it not only easy on the palate first thing in the morning but also easy to whip up from ingredients you’re likely to have in your kitchen. If it’s going to be quick, it also has to be easy! 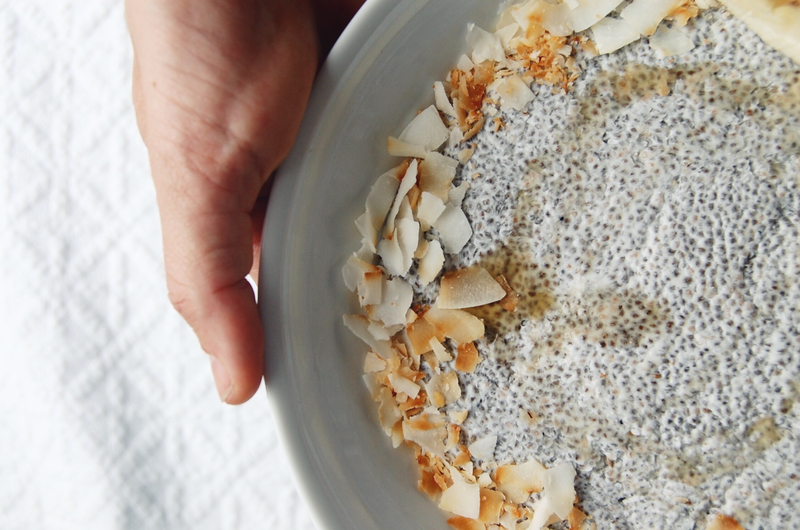 Chia seeds are so good for a morning meal as they are a source of protein, omega-3 essential fatty acids and contain fibre to help support your digestion. All of these things combined make for a very sustaining breakfast that will carry you through to lunch without a glitch. 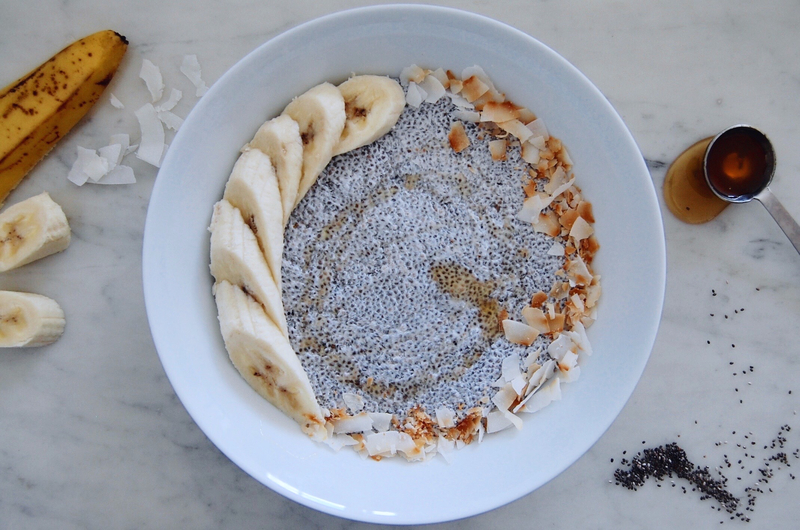 This delicious breakfast bowl is an easy option for anyone who doesn’t have time to make their breakfast in the morning but still want to nourish and support their wellbeing. 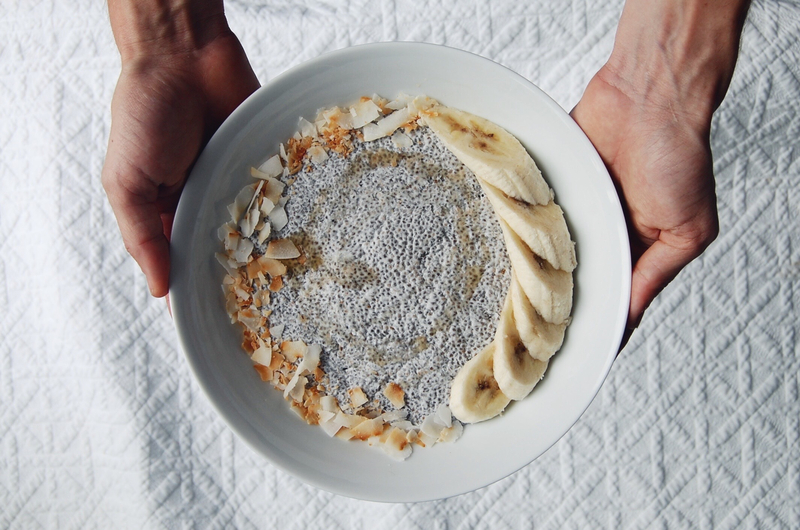 Make the pudding base the night before, then top with the banana, honey and coconut flakes to serve; and et voilà- a healthy way to enjoy your most important meal of the day.